Todou looks demonically posessed in his new character design. 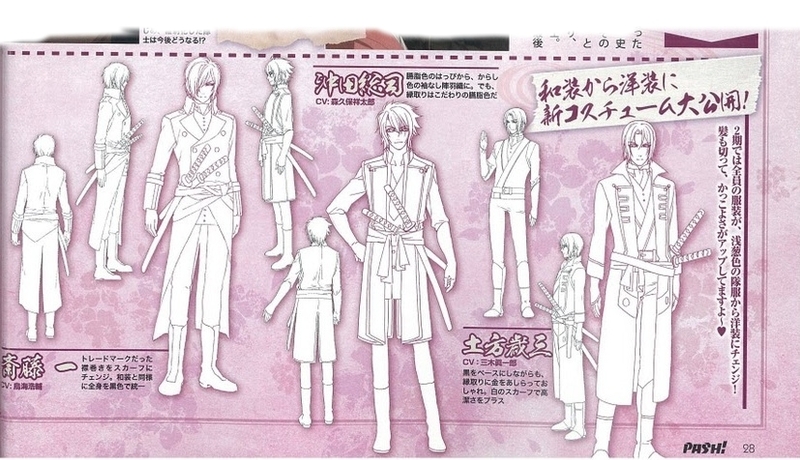 Hakuouki Season 2 is coming in October, and a couple of details have already been promoted. A hand-cam recording of the trailer is on YouTube, and character designs for 6 of the principle characters has been released. This post just shows the new character designs, and points you to online resources for more. Thanks to Haladflire65 for posting scans from an anime promotion magazine. Several more images are available. For those who don’t know, this season sees the remnants of the Shinsengumi switch to western-style military uniforms (technically they are no longer Shinsengumi, but the same team stayed together to fight in the Boshin War at the beginning of the Meiji Restoration). 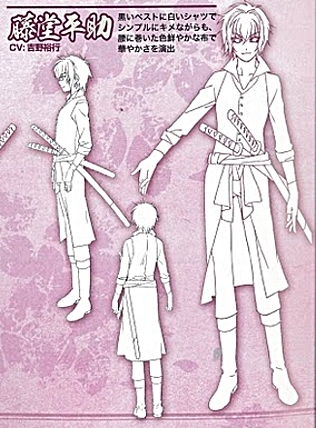 from left to right: Nagakura, Harada, Todou. I think of Nagakura, Harada, Todou as the younger guys because they were joking around from the first time we see them in the first season. 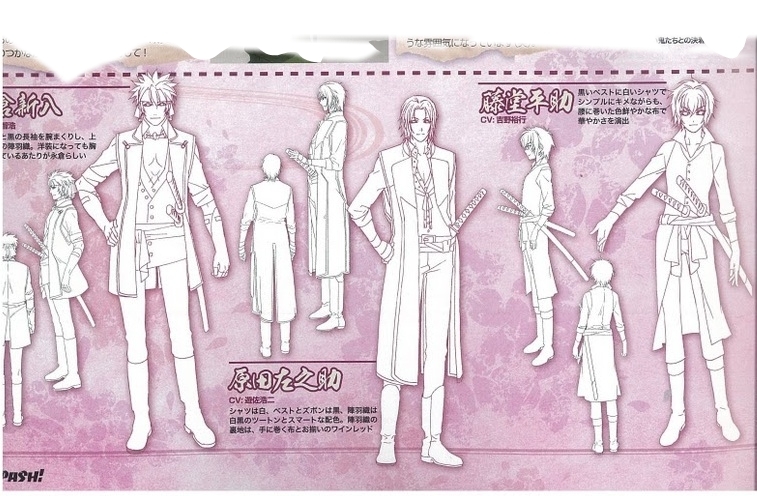 from left to right: Saito, Okita, Hijikata. The serious guys. Of these guys only Okita is likely to laugh, and his humor usually involves telling people he’ll kill them. Here is a link to the original image from which I lifted these details. Yay! ^.^ I luv this series . Go Chizuke ( <..<!! !